ARUNDEL CASTLE (3) was built in 1894 by Fairfield Ship Building & Engineering Co. at Govan with a tonnage of 4588grt, a length of 415ft, a beam of 45ft 9in and a service speed of 15 knots. A considerable advance on the earliest Castle intermediate steamers such as Doune, Lismore and Harlech Castles, the Arundel Castle marked a new departure, like Pembroke Castle she was a four-master, square rigged on the foremast. She was christened by Misses Barnwell, two daughters of the Managing Director of Faifield Shipbuilding Company. 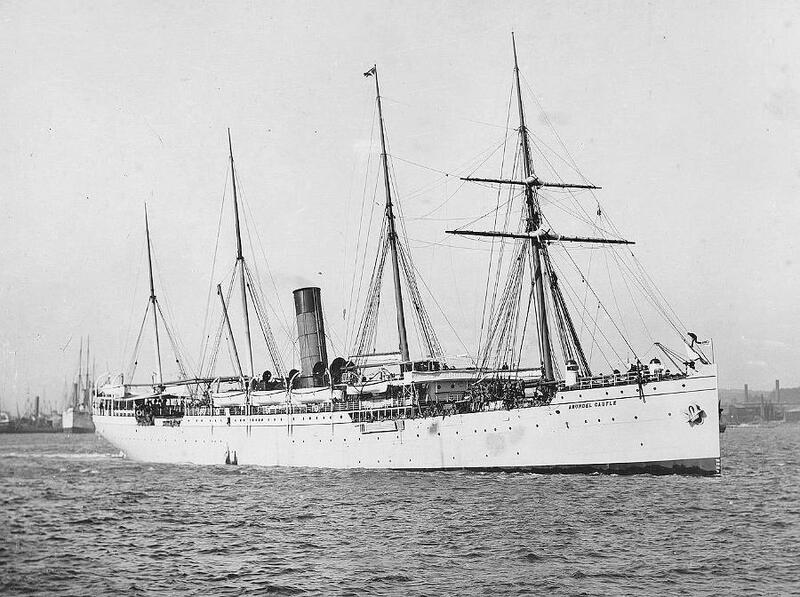 In 1905 she was sold to the East Asiatic Company of Denmark and was renamed Birma. She was engaged in the Atlantic emirgrant traffic to the United States at the time of the Titanic disaster in 1912 and was one of the vessels which picked up the distress signals of the doomed liner. 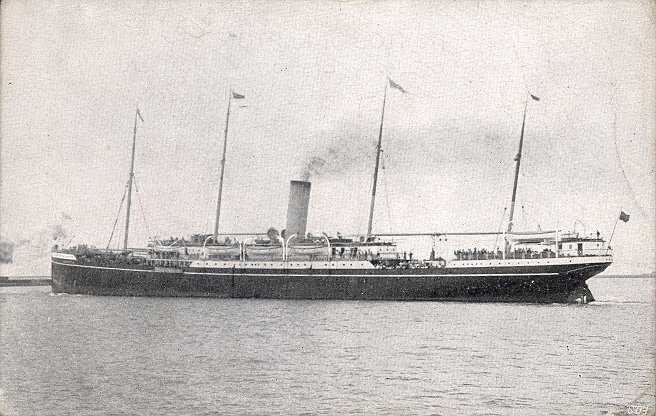 In 1913 she was transferred to the Russian American Line and renamed Mitau trading between Libau (Latvia) and New York. In August 1914 she had just left Libau when war broke out and she accordingly hurried back to port and anchored in Kronstadt Roads where she remained bottled up until the Armistice was signed.